The purpose of NCHMA’s Model Content Standards is to provide the industry with standardized terminology, content, and guidelines as to the appropriate level of analysis for market studies of a variety of rental housing products. The basic principles of market analysis are shared across the various classes of of rental housing and residential real estate; however, the focus of a market study is often driven by the type of housing proposed. These Model Content Standards are organized to first address standards applicable to all rental housing market studies. Subsequent sections list specific requirements or methodologies applicable to specific types of rental housing including affordable, market rate, and/or senior rental housing. These standards outline the recommend content, data, analysis, and conclusions to be included in market studies, but do not establish the format or presentation for the report. Further explanation for levels of analysis and techniques required for conducting a market study may be found within NCHMA’s various adopted White Papers. Applicable NCHMA White Papers are referenced in Version 3.0 of the Model Content where appropriate with hyperlinks to the full documents. The Market Study Index is intended to help the reader of a market study find specific information quickly. NCHMA’s Market Study Terminology includes a glossary of common terminology appearing in rental housing market studies. State housing finance agencies, lenders, investors, and other industry members and market study users are encouraged to incorporate the information below in their own standards. NCHMA requests written notification of use. 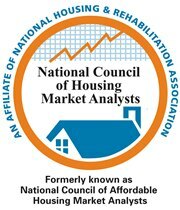 Please Note: NCHMA members are strongly encouraged to use the Model Content Standards when completing market studies for Low-Income Housing Tax Credits (LIHTC) and other real estate product types. However, we recognize that various market study users such as state housing finance agencies, lenders, investors, or other industry clients may require market analysts to use standards that are different from the Model Content. Therefore, the final decision as to which standards are to be used is left at the sole discretion of the market analyst. Adherence to NCHMA’s Model Content Standards, Index, and Terminology are key components to a successful Peer Review submission under the Member Designation Program. Users are encouraged to reference the date or version of the contents standards used.